This section is supposed to be a little something about myself. But how does one go about writing a summary about your life, aspirations, passions, and experiences? Then do it successfully? I've updated this page over and over, failed each time. So here is just the latest iteration. Next week might be a completely different version, so don't hold your breath. I was born long ago in a land far far away (think Indiana minus all the cool laser effects). Before computers were a thing. Before the internet. And when there were only 3 channels on television. When parents taught children how to be a good citizen instead of teaching them what the deserved. Yeah, that long ago. As a teenager, a store in the mall started selling these computer things. Only for businesses though. But it still piqued my curiosity. 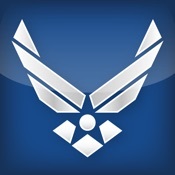 I finished high school 6 months earlier than anyone else, and since college wasn't really an option for me I joined the United States Air Force. I learned how to work on multi-million fighter and bomber aircraft. I lived in Europe for a time. I married and raised a family. Towards the end of my military career I went to JC Penny. On a closeout table I saw an Epson Apex XT computer and keyboard. Thats it. Price was $300. Sold! Got home, had no idea what to do. Through research without google or anything other than a Computer Shopper magazine, I was able to find and purchase an EGA monitor. Later I had a 40MB hard drive installed in it for $320. Thus began my life with computers. Since then I've built, from scratch, every other system I've owned (and some family as well). With this experience I was able to start working as a computer system engineer and a system administrator. I've been doing that ever since. With technology always evolving and revolving, I've yearned to learn and do more. Online courses are plentiful now, and I'm taking advantage of that. I've been taking online courses for Python, learning automation with Red Hat Ansible, and learning a whole new way to think. Honestly, I think I find it more exciting than some younger people. Its a new world for me, but for them its just normal. I've seen the other side. I have been taking online courses, reading e-books, listening to podcasts, watching video podcasts. And yes, even checking out some local college courses. So far I'm loving being able to create something from nothing. Its really mind expanding to see so many ways to solving problems. My goals change, but becoming a programmer/developer is one thing I'd like to try. Hell, I'll be a code monkey if I'm creating something. I just know that I've sat too long. I also know that I'm still able to expand myself. My latest endeavor is to learn more about IT along side of many other things. Becoming more than a technician, but an engineer and architect. I'm well on my way. Nervous excitement like a lucky schoolboy. Because for me, every step is a new beginning. And every step sheds a new light.